I was happy cruising on my good old Debian Lenny till my wify joined MCA. As a part of her 1st semester she has to do a lot of C. The University lab teaches C either on VC++ or TC on Windows. At home though my Debian desktop has a complete development tools and compilers, she is afraid to catch up with the batch, till she catches up with gcc and vi, other fellows might go ahead. That's why I thought it was better to put Windows XP Pro on another partition and install VC++ on top of it. 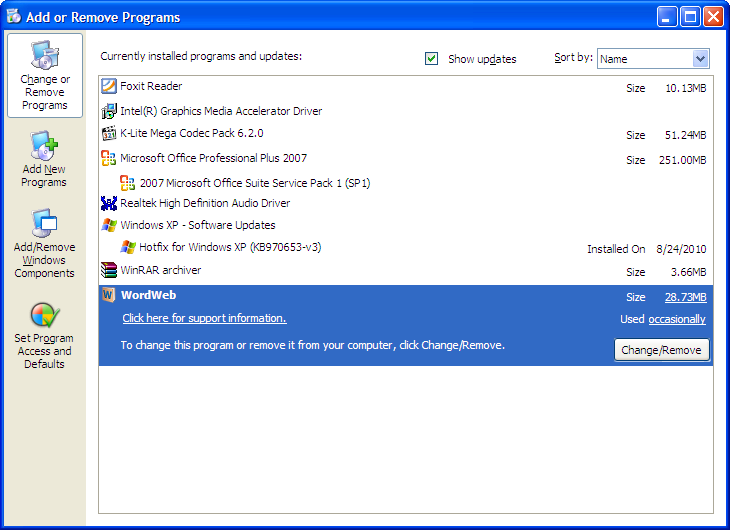 But right after installation the greed for speed and security made me do these extreme optimization tweaks. Your objective might be optimizing your XP just for Games, Jobworks, Desktop Publishing or Multimedia manipulation. Accordingly, your optimization may change a bit. I wanted to squeeze every bit of juice (performance) from XP. That's why I started tinkering everything - from changing BIOS settings to tweaking Windows installation and choosing right kind of software. BIOS has some nitty options to set/control cpu/board fans, and reduce boot time. Also, you can disable all those unnecessary/unused devices and ports on bios further increasing your system responsiveness. 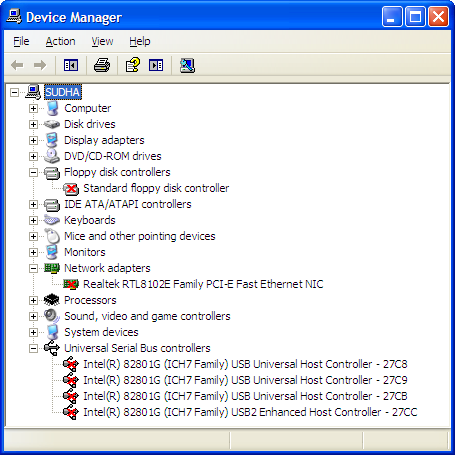 A vanilla Windows Retail or OEM CD packs everything to satisfy the a vast diversity of machines and users. You can choose a Retail Windows copy and then use some third party tools like nlite to cut it for your requirements. Here, I used nlite to downsize XP. The result was a Tiny XP CD weighing only 150 MB, 1/4 byte size of the original XP. 90% of users run Windows as a privileged user (administrator), because that's what Windows grants profile to the first default user. It's good for the dumb who doesn't like to do anything except point-and-click to install and configure devices and/or software. But default administrator mode brings the risk of security and reduced performance. What I believe every user should do is configure two accounts in Windows: 1st, the administrator account, and 2nd, a non-privileged user. 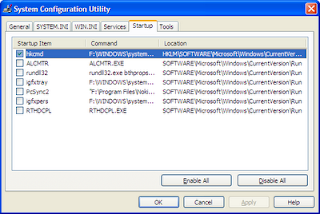 Change the user settings (run "control userpasswords2") to make Windows boot non-privileged account by default. One can use administrator account for administrator tasks only, not for daily computing. Strip down XP using nlite. Make a minimal installation. Then choose light-weight and custom installation of application software wherever possible. For example, if reading pdf files is what you all need, you should better install Foxit Reader. There's no need to go for a jumbo pack like Adobe Reader that drastically increases installation footprint plus takes toll on your CPU. Similarly, make a custom installation. For example, don't push in Microsoft Office and do Click>>Click>>OK. Make a custom installation of just the necessary components. I had an enterprise copy of Microsoft Office 2007 that had all the bits and pieces of a productivity suite, but installed only Word, Excel and PowerPoint; Binder, Visio, Project, OneNote and Publisher are not my stuff. For multimedia, I could have chosen a bunch of apps like Windows Media Player 11, RealPlayer Gold, VLC, WinAmp and bla.. bla.. bla.. But, here what I all did was to install the full version of K Lite Mega Codec Pack. It has all the necessary codecs under the sun plus a sober player interface – Media Player Classic. Disable unnecessary devices also from device manager, if you could not disable them in BIOS or you just could not find the options there. To make my windows installation standalone development/entertainment desktop I disabled all the USB ports plus network adapter. I could have done the same in BIOS, but I really need them on Debian installed on the same desktop. BTW, BIOS on a dual-booted PC is common to both the operating systems. Disabling these devices makes the system a little more responsive. 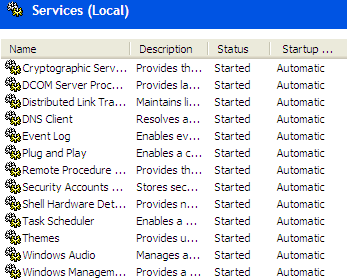 Visit My Computer >> Properties >> Hardware >> Device Manager, and disable all those devices that you don't need. Nothing to worry, you can enable them back when needed. While on Windows those USB ports are still in use for charging my USB camera and mobile. Power still flows to them, but data transfer is blocked. Windows XP won't win a beauty pageant at the time of Windows 7, OS X Snow Leopard and Ubuntu Lucid. 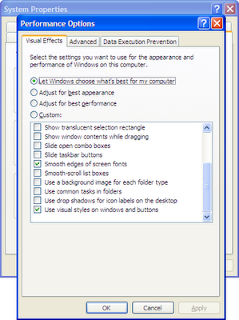 However, you can gain a little performance boost by changing the visual-effect settings. It won't affect the beauty of your XP. Visit My Computer >> Properties >> Advanced >> Performance >> Settings >> Visual Effects. 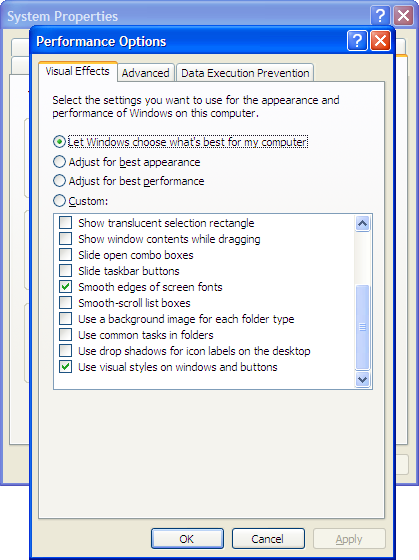 And uncheck all effects except "Smooth edges of screen fonts" and "Use visual styles on windows and buttons". Windows XP service pack still thinks that you are running it on a 128MB physical memory, and be how much RAM your system really has it sets a dynamic virtual memory with a threshold of not less than 1GB and an upper limit of 2-3GB. 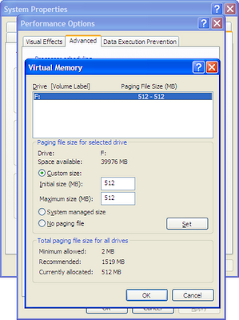 If you are using a desktop pc for home use and have more than 1GB physical memory (RAM). 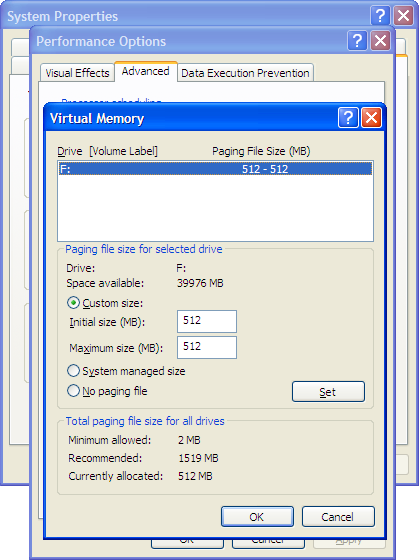 You can set virtual memory to a fixed size. I've set it to 512MB only. It really helps your system to manage the memory better. Visit My Computer >> Properties >> Advanced >> Performance >> Settings >> Advanced, Select "Custom size" and put the same amount of memory for both initial and maximum size. 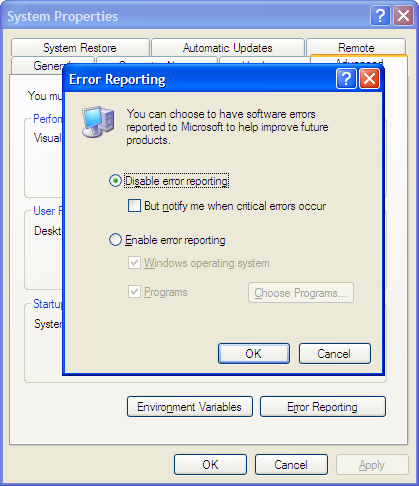 I don't really see any benefit in keeping Error reporting enabled for a home computer. Visit My Computer >> Properties >> Advanced >> Error reporting, select "Disable". Don't panic! 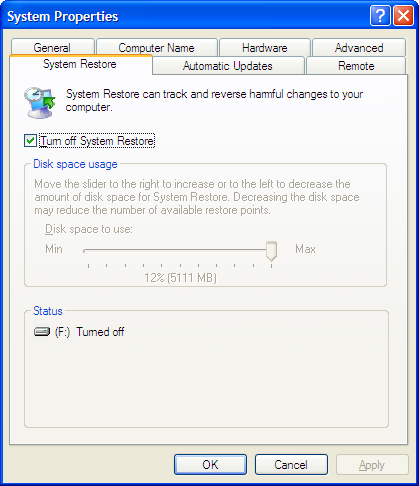 Disabling System Restore results in a big speed boost and frees up much memory from the restore points. As long as you have an XP CD, you can pop in that and run rescue in case of worst mishaps. 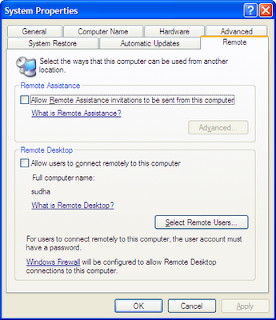 I don't how many of the home users really use Remote Assistance. 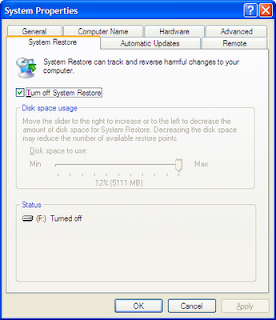 Do you want somebody to remotely access your pc to fix it? If not, it makes no sense to keep it enabled. 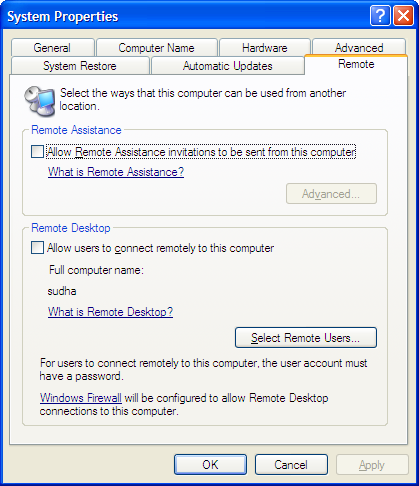 Visit My Computer >> Properties >> Remote, and uncheck both "Remote Assistance" and "Remote Desktop". Windows XP is almost out of Microsoft Support Cycle. M$ is aggressively pushing forward Windows 7. That means you won't get that valuable updates and patches. These days the only event you will experience is get a nagging WGA check message in case you are using a pirated XP with Automatic Updates on. So, better disable it altogether. It's good for you and your system. 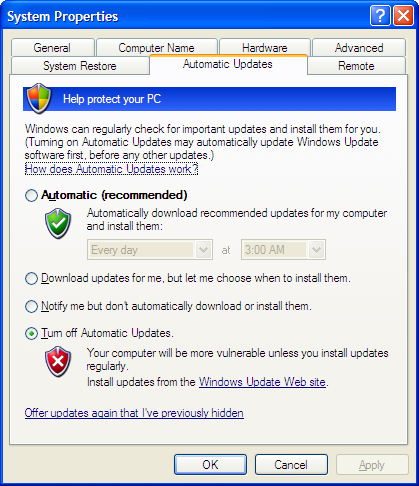 Visit My Computer >> Properties >> Automatic Updates, and select "Turnoff Automatic Updates"
If you really care of reduced boot times, low memory footprint and highly responsive system, minimize the number of startup services. I have let just one process "hkcmd" to run on startup. 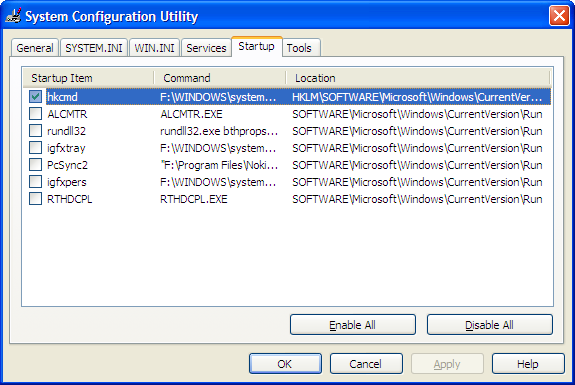 Run msconfig, click on the "startup" tab, and uncheck all that you think you don't need to run everytime on startup. Search "Black Vipers Windows XP Service Configuration" on Google and visit the official site to have a thorough understanding of what the Windows XP services, and then decide on what you really need to keep enabled. Besides, the site also lists on what all services you need in three presets – Safe, Tweaked and Geek modes. You can safely choose the "Tweaked" mode of service list configurations. Below is the list of services that I keep enabled. It's perhaps the most effective of all the speed tweaks. It also reduces the memory foot print greatly. It's a must-do tweak for any speed-hungry user. Run services.msc and change your service settings after reading Black Viper's article. After doing all these performance/security tweaks. I experienced a perceivable boost in speed, reduced memory usage and always responsible system. 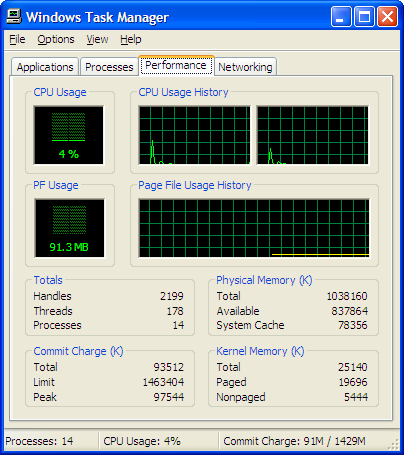 Now, my system boots in just 10 secs and uses a bare 90MB of memory. That means after applying these tweaks you can run Windows XP in full throttle speed in an obsolete PIII PC with as low as 125MB RAM. What more do you expect! Configuring hardware perfectly with Linux sometimes involves fights. Most often linux sits well on modern hardware, but when it doesn't there are hacks and workarounds, but that doesn't always go well. Occasionally devices don't perform the way the manufacture designed it to. However, HP has made it easy by offering linux pre-installed workstations. With over two decades of UNIX library and device driver focus, the company has become a leader in refining, enabling and testing linux on systems with latest releases and drivers. Plus, the company also leverages its partnership worth name brand hardware/software vendors such as Red Hat, Novell, AMD, Intel, nVidia, ATI and others. By choosing HP personal desktops/notebooks with linux, you get a fully configured/optimized desktop with Suse (SLED) or Red Hat (RHEL), tested and certified by the respective Linux giants. 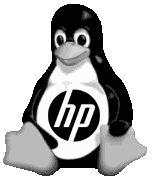 With the workstation HP offers an HP Installer Kit for Linux, linux user manual, and enough literature (release notes, setup tips, faqs & more). HP now has Hardware Support Matrix, a detailed online tool providing the latest support information to help you determine the minimum SLED or RHEL update versions required for perfect operation. Let's get the hard facts first - as of July 2010, 5 out of the 10 most reliable internet hosting companies are powered by Linux. The rest 5 are run by others including Windows (just 1). So, what accounts for the success of Linux Web Hosting? Well, many things: history, philosophy, cost, versatility and stability. From the very beginning linux (owing to its unix legacy) is built grounds up for web server and and the Internet, whereas Windows had and keen focus on consumer desktop. That difference is apparent even today. Linux web hosting wards off those typical susceptibility to viruses and malware that's way too common in a Windows environment. 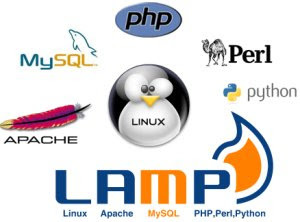 Moreover, LAMP (the stack consisting of Linux, Apache HTTP Server, MySQL and PHP) provides great options (easy to code, develop and deploy) to build a viable general purpose web server. On the hardware and software front, a Linux server beats Windows on multiple aspects. Linux servers stay up for years without a single reboot, reducing downtime to to minimum. For some security fixes, the tech-guy can apply patches using Ksplice without a reboot. Similarly, most of the libraries, services and applications can mostly be upgraded without restarting the running software. Presence of bonafide malware is very rare in Linux (less than 900 pieces compared to 2 million malware detected for Windows). 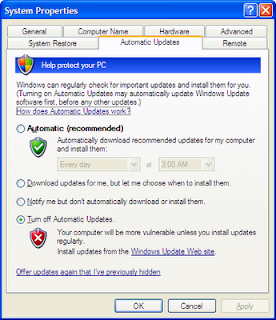 Nevertheless, one can also deploy anti-malware tools such as ClamAV and Panda only to mitigate spread of Windows malware to windows environments, if they are connected in a linux network. Also, Linux hosting in the context of Apache server, is very easy and common setup that enjoy a huge user base. The open-source philosophy behind it offers countless online and offline helps in the form of tutorials, forums, newsgroups, IRC channels and user groups. That means it's very easy to obtain assistance with any server issues that one might encounter. It is also quicker and easier to apply patches and updates on a Linux server. Finally, Linux hosting charges much less compared to other hosting options. I never had a bad time configuring HP printers, scanners and computers on linux. The company has been keeping up closely with Linux to support its Linux Desktop and Server lines. Though there are a few linux desktop offerings (of course you put linux on any of its hardware), it has a considerable server line providing top performance, flexibility and reliability for the most demanding applications. You get more when you choose an HP Server with a Linux operating system (preferably SLE, RHEL or CentOS). The company offered preinstalled servers or provides everything you customize your installation. Technical support for preinstalled SUSE Linux Enterprise or Red Hat Enterprise Linux on your HP Server is just a call away. Most ProLiant & BladeSystem Servers (x86) are enabled on community (CentOS) and regional Linux distributions. HP provides management agents and drivers to simplify the operation and management of CentOS on HP ProLiant servers for free! Besides, HP hosts a Linux Forum where you can give and receive help, tips, and opinions. 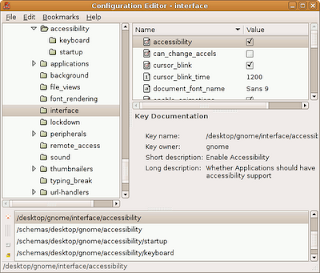 I love to make my Gnome DE as functional as possible rather than making it decorative. I detest the idea of putting those compiz, beryl, emerald or whatsoever they are called. The default metacity is good for me, except for its minimize/maximize effect - which is a real joke. Minimizing windows in Gnome (without compiz fusion) displays a kiddish (often annoying) style of showing a black border closing down into the windows list panel. And there has been no easy fix to avoid it. You can turn this minimization effect off by enabling reduced_resources option through gconftool-2 or gconf-editor, but there you will see a wireframe while dragging an application window, and sometimes you'll see really troubled look in restoring/maximizing a windows. 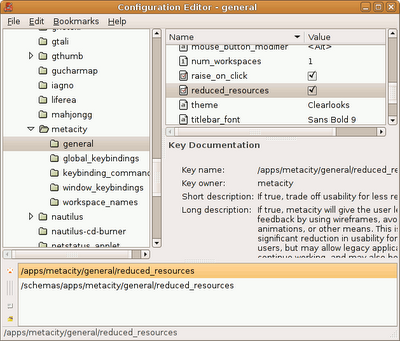 Press ALT+F2 and type "gconf-editor" without quotes. Search for a value "Reduced Resources" (you'll find it at /apps/metacity/general/reduced_resources )without quotes, and check-select it as shown in the pic below. While you are still in gconf-editor, search for a value "accessibility". 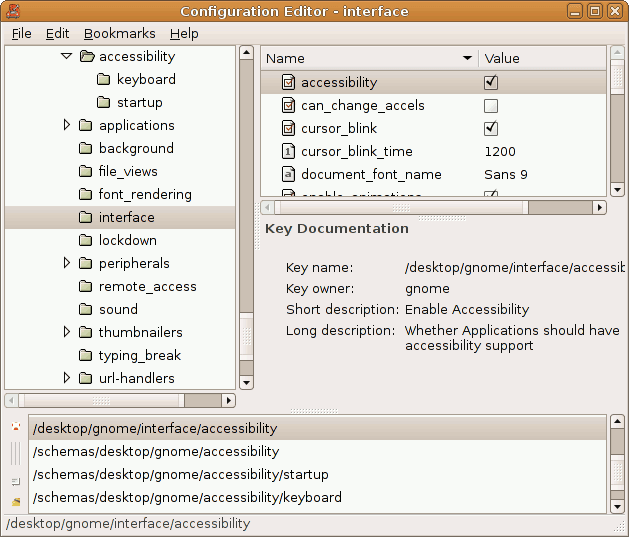 It will result in couple of results, check-select the one at /desktop/gnome/interface/accessibility as shown in the pic below. That's it! Now your gnome desktop will act quite responsive without those ugly minimize effects. 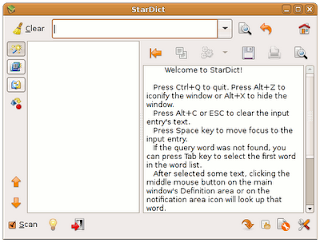 StarDict Dictionary - the Real Star! Whether on Windows, Mac or linux a word look-up application has been my priority from the very day I first started working on a computer. And on the way I have used OALD (soft copy of Oxford Advanced Learner’s Dictionary), Wordweb, Wordnet, Dict and many others, for some time. But it was Stardict where I finally settled. 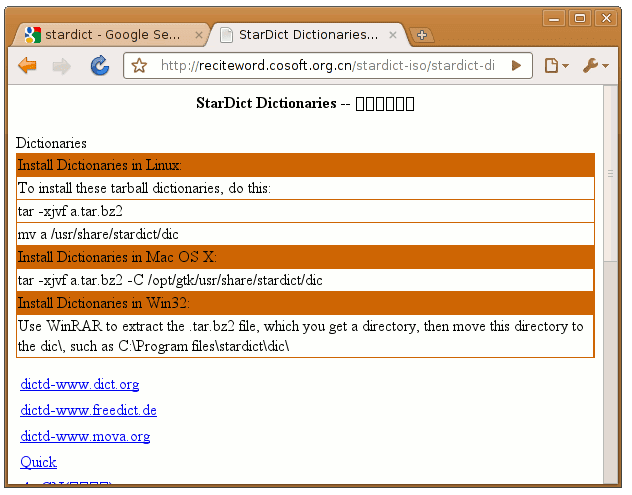 The greatest dictionary/encyclopedia lookup program ever created. The pro's of this program is that - it's very responsive, very very contextual, and supports tons of dictionaries. 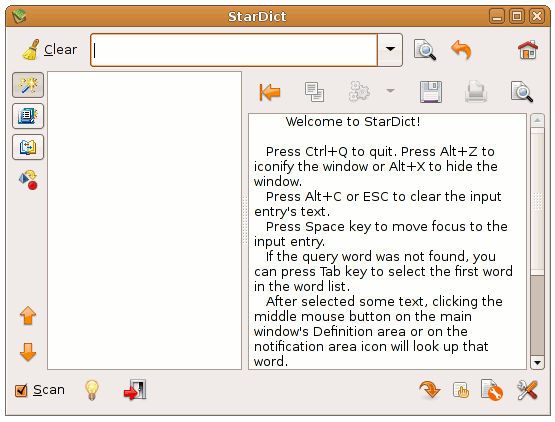 If you recognise the power of OSS by Firefox, Thunderbird, OpenOffice, Linux Hosting, Jumla and many others, you should give Stardict a try! It's a Cross-Platform international dictionary Software that supports all the major international languages. It has powerful features such as Glob-style pattern matching, Scan selection word, Fuzzy query and contextual action. In combination with FreeDict it becomes a great translation software also. 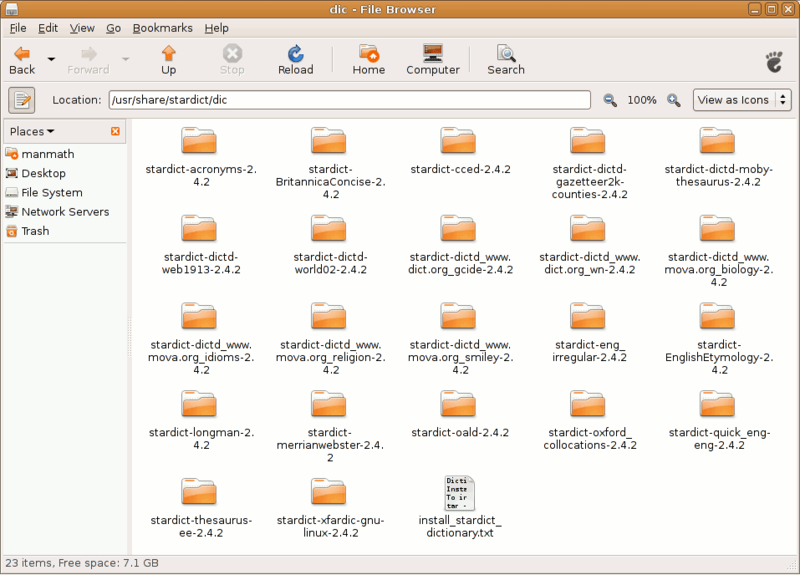 StarDict runs on Linux, Windows, FreeBSD, Tablet OS and Solaris. 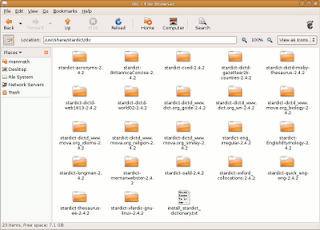 You can get binaries of StartDict for Windows, Mac, BSD and various flavors of Linux at http://stardict.sourceforge.net/download.php. 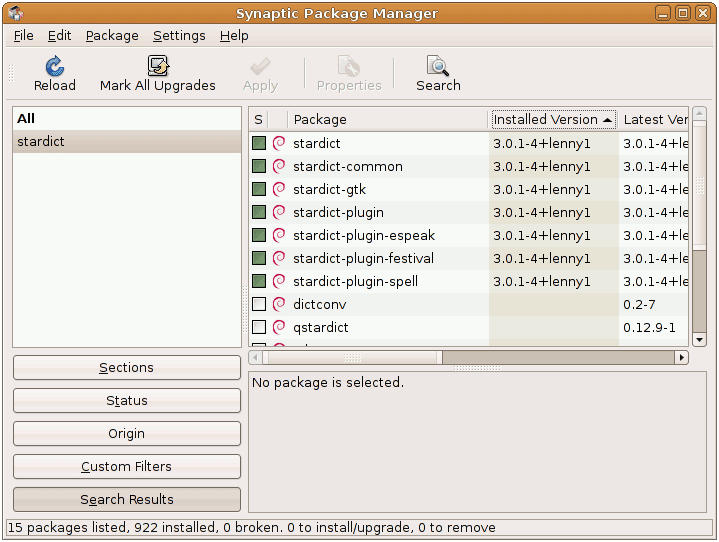 But the best way to go, if you are using a Linux Desktop is installing the packages from your distro's official repository. 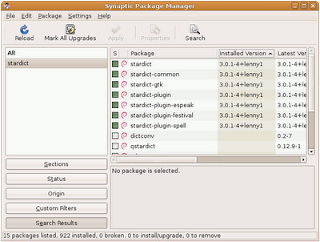 All the major/mainstream linux distributions have StarDict in their repos. Dictionaries of your choice can be installed separately. 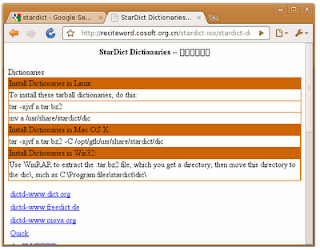 User can visit http://stardict.sourceforge.net/Dictionaries.php, download the packages and extract them at /usr/share/stardict/dic directory. That's it! Though linux still doesn't win consumer desktops sitting barely on 2% of the systems, it's surprisingly merging on the mobile devices, gadgets and various other small-form factor computers. Giving M$ a fight on the desktop market was tough owing to vendor indifferences, platform multiplicity and ever-changing linux base. However, it surely hits sweet-pots on smaller computer appliances. Linux operating kernel being minimalistic, easily portable and highly scalable, fits impeccably on those purpose-built devices. To manufacturers linux reduces the hassles of initial development and on-going support costs. The gadget world (comprising of mini computers, network devices, multimedia consoles, gaming systems, electronic toys, mobile phones and a lot of embedded devices) is steadily turning to linux. Linux has become ubiquitous, many of us might be using it on our favorite devices even without being aware of it. 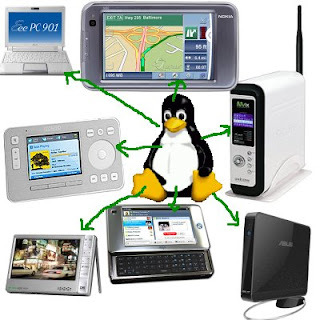 Here is a list of the electronic devices on which Linux has made a prolific resurgence. Aigo Mobile Internet Device: It's the talk of the town being the first Mobile Internet Device. Flaunting a 800x480 display powered by Atom Z500 Processor, it's a fully loaded internet device that weights just 352g and runs on a customized linux - Midinux 2.0. Nokia N810: The popular tablet packs a lot of punches into a minismally small size. It has GPS, webcam, customized productivity and internet suites, and supports tons of third-party apps to keep you busy always. You can also install Android (again, it uses customized flavor of linux). Asus Eee PC netbooks and nettops: Asus has jumped in like no one else, with its range of linux powered netbook and nettop series computers. Both its nettops and netbooks are equipped with Atom processors and a well-trimmed Linux. 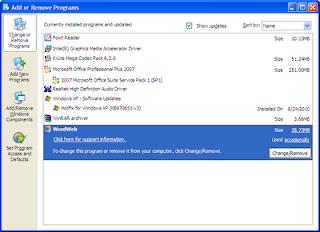 Of course, the company offers Windows variants at expensive prices. OpenMoko Smartphone: It's a highly customizable mobile phone for everyone. It's suitable for students interested to lean how to program a phone with Linux, as well as for geeks who love to tinker their devices. Garmin Nuvi880: Running on linux, this GPS receiver has all the goodies that you expect from a device of such type. It's a solid GPS navigation solution that is proven and reliable, and now poised to have even more going for it. Motorola Ming A1600: Equipped with GPS, handwriting recognition, 3.2 MP camera and card reader, this smartphone has a quad-band GSM/GPRS Radio that supports Edge networks. It also has all the usual-suspects of a modern mobile phone. However, the real power lies in its linux OS that allows power-users to install tons of 3rd party apps which would be a dream on Windows CE, Symbian or Bru. Archos 605 WiFi: Rival to iPod Touch, this entertainment device sports a large sharp display with an excellent web browser. It supports smooth full screen video playback.